Despite our busy families and careers, my girlfriends and I often gather for dinner or lunches where we share updates about our careers, families and children. Recently, I attended a dinner where the topic of family finances came up and I was surprised to learn that a number of my friends do not take an active role in their finances – indicating that their spouses are usually the ones who handles them. In fact, some didn’t even know what their household budget is or whether they had a long-term care plan. Perhaps this Mother’s Day, we – as wives and mothers – can all gain a little more financial independence. While it’s ultimately up to you and your spouse to decide how to best handle household finances, it’s important that both parties are continuously involved and informed. Women often provide the majority of informal care to spouses, parents and in-laws. In this role, understanding your family’s financial situation would be critical – especially in an emergency. Women also typically outlive their spouses on average of 10 years. When a loved one passes away, you family’s financial situation is the last thing you want to worry about. To better understand your financial situation and to play a more active role, first understand your cash flow. Utilize online services or simply jot down all the sources of incoming money such as salaries, real estate and/or personal investments. Then tie those to your monthly budget outflows. It’s important to get a full picture of where you are financially. Next, assess your long-term finances. Make sure you understand how much you and your spouse should be saving for retirement as well as other big ticket items like college and future health care expenses. Finally – and perhaps most importantly – talk to your spouse. It’s vital that you and your spouse communicate constantly and clearly. Finances should not be a taboo topic but rather something that can be freely discussed. Both should understand the role that each wants to play in dealing with family finances. Perhaps this may also be a good opportunity to discuss your individual financial situations and accounts as well. While creating a shared household budget is a key to a happy marriage, research shows that women having their own investment account “can be empowering and can strengthen their marriage.” Your spouse may feel the same way too – but you’ll never know if you don’t talk to each other. As Mother’s Day approaches, I hope you will consider treating yourself to a greater understanding of your family’s financial situation. Perhaps it’s even a good time to emphasize the importance of developing a strong base of financial knowledge to your daughter (or son). 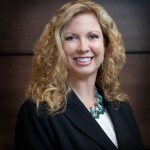 Shelley Ford is a Financial Advisor with the Pelican Bay Group with Global Wealth Management Division of Morgan Stanley in Denver. The information contained in this interview is not a solicitation to purchase or sell investments. Any information presented is general in nature and not intended to provide individually tailored investment advice. The strategies and/or investments referenced may not be suitable for all investors as the appropriateness of a particular investment or strategy will depend on an investor’s individual circumstances and objectives. Investing involves risks and there is always the potential of losing money when you invest. The views expressed herein are those of the author and may not necessarily reflect the views of Morgan Stanley Wealth Management, or its affiliates. Morgan Stanley Smith Barney, LLC, member SIPC.